As announced by George Osbourne in 2013, non-UK residents will have to pay capital gains tax on their sales of UK residential property from April 2015. This new charge applies to non-resident individuals holding UK residential property directly or via a partnership, non-resident trusts and non-resident companies. Charities will be excluded. The Main Residence Election has also been restricted. Before April 2015, a non-resident would have been able to elect the disposed property to be his or her main residence and thus exempt it from CGT. However, a non-resident may now only elect a UK residential property to be his or her main residence if he or she spends at least 90 days in a tax year staying in one or more UK residential properties. The charge is to be applied to gains realised on the disposal of UK residential property but also property that has the potential to be used as a residence. It therefore includes property which is currently being built or altered for residential use. The charge will apply to both owner-occupied and rental properties. How is the new charge calculated? Rebasing Method (Default) – The default method is to “rebase” your cost at the market value at April 2015. It is therefore worth requesting valuations of your properties now for when you may sell in the future. 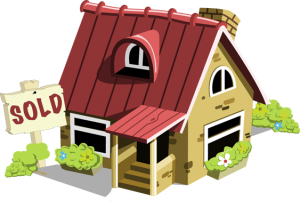 Time Apportionment Method – You can also elect to calculate the post-April 2015 gain/loss as if the value of the property increased linearly over your period of ownership. Total Gain/Loss – Alternatively you are able to take the total gain/loss over the period of ownership. This is only likely to be preferable if you have made a capital loss. Individuals – Taxed at 18% for basic rate taxpayers and at 28% for higher and additional rate taxpayers after removing their annual exempt amount. Companies – Taxed at 20% after an adjustment for inflation. ATED-related gains will be excluded from those subject to the new charge. Trusts – Taxed at 28% after removing their annual exemption. When do you have to report and pay? All disposals must be reported to HMRC within 30 days of completion whether a gain or loss has been made. The tax is also due along with the reporting within 30 days of completion unless the taxpayer also fills in a UK self-assessment tax return. If they do then the tax will be payable according to the usual timing for self-assessment. How can you utilise any losses? Realised losses from such sales can only be set against gains realised on other UK residential property in the same tax year or carried forward to later years. However, if the non-resident subsequently becomes a UK resident, the unused losses on UK residential property can be set against all other chargeable gains. Unused losses on UK residential property realised by UK residents who have since become non-residents may be set against gains on UK residential property subsequently realised when non-resident.